Outdoor Fire Pits make a wonderful focal point and gathering place for your outdoor living and entertaining. Use it yourself to unwind at the end of a long day or share with friends and neighbors at your next evening barbeque. You don’t have to go camping to roast marshmallows! The family will love to gather around your fire pit for this traditional bonding activity. 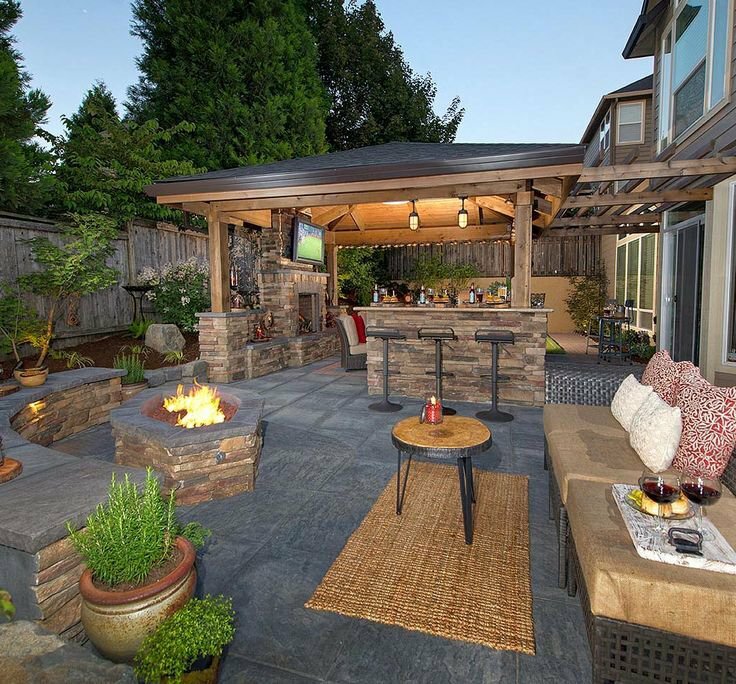 Your new fire pit can be part of a new patio area, a renovation or part of a bigger project such as an new patio with an outdoor pergola structureand outdoor kitchen, or built in barbecue. Fire pits can be built to enhance your existing landscaping and fit your personal style and taste. Your outdoor living space will be the hit of your next party when you add a fire pit for everyone to gather and socialize around. 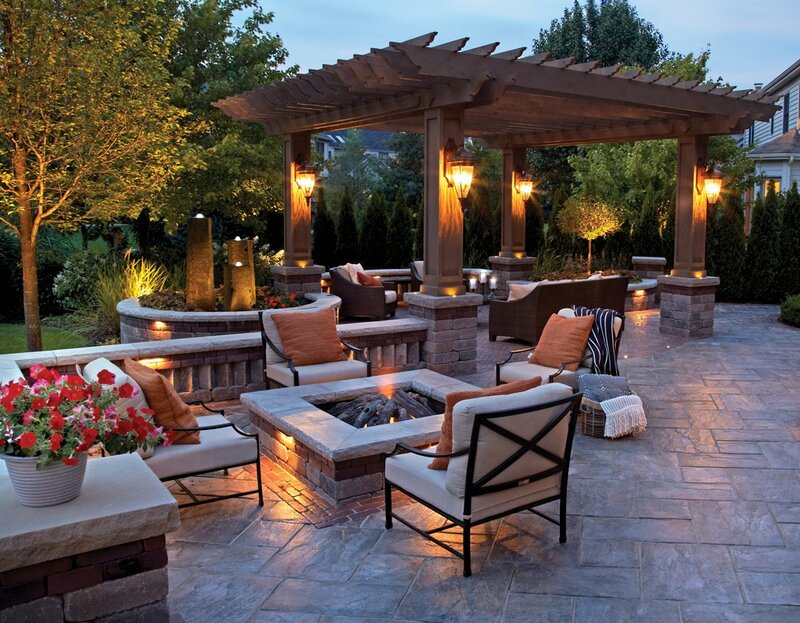 Home Living Fireplace and Outdoors in Northern Virginia pays attention to detail with our years in the industry to ensure that you will get the outdoor space of your dreams. Contact us today and receive a free estimate at 571-357-3473 for your outdoor living project and create the space you’ve always dreamed of. Whether you want a regular wood burning fire pit or a gas fire pit, we have what you are looking for. Our gas fire pits will be a nice attribution to your outdoor patio area. They are also highly safe as well as the fact that you can get a hidden tank fire pit or a propane tank enclosure. Our wood fire pit design is safe around children and your pets, with our metal cover. Making those summer or winter nights that much safer. Get started with a free quote! May 5, 2015 How Do Gas Logs Work? Schedule your fireplace service and safety inspection today! Our team is here to service, repair, and install your indoor and outdoor fireplace, and construct your outdoor living area. Request an appointment today to meet with one of our expert designers.